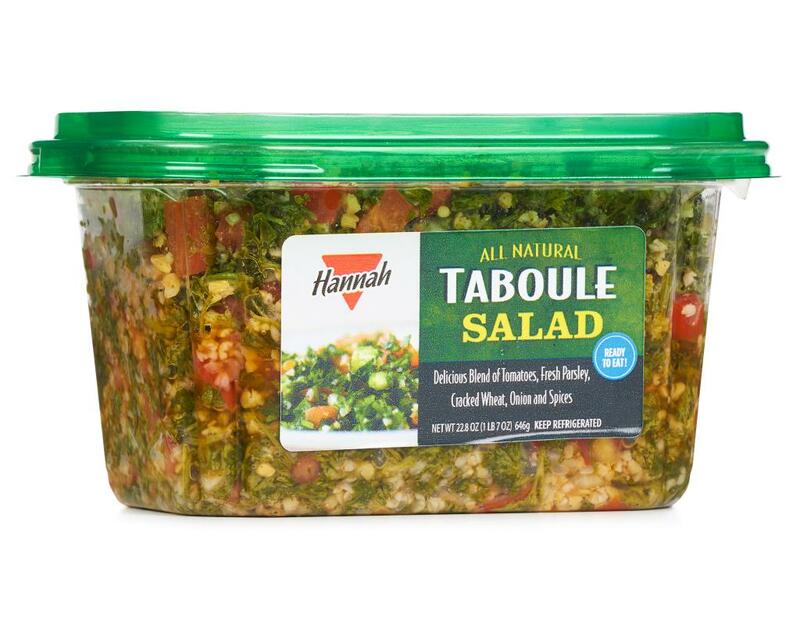 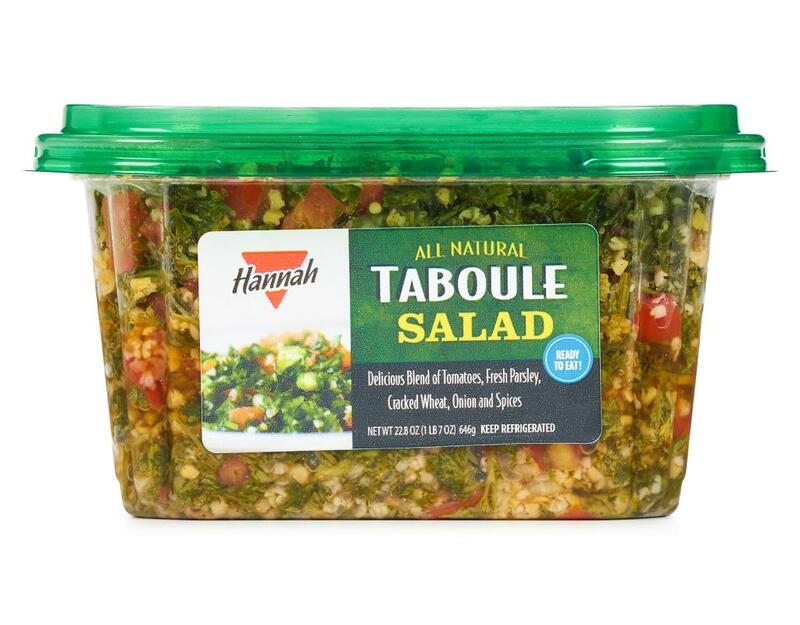 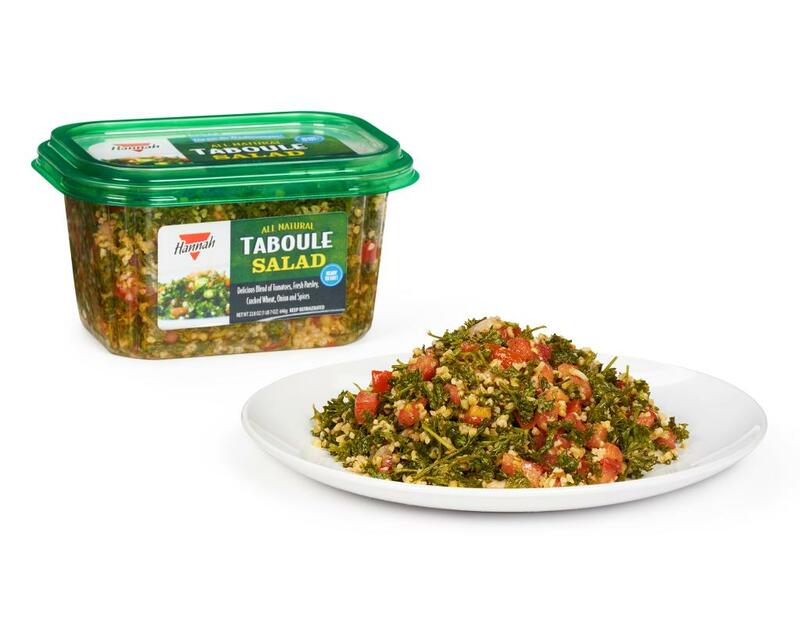 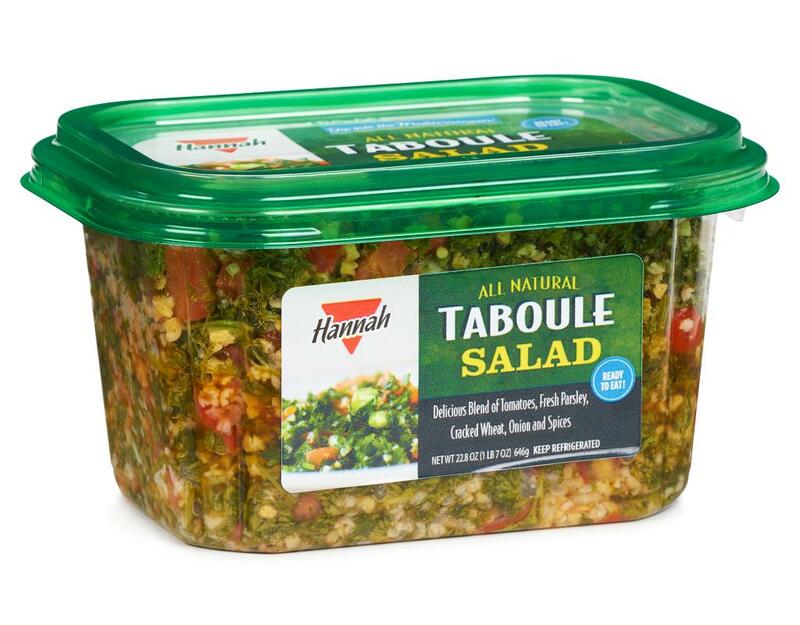 Get a taste of Mediterranean cuisine from this refreshing salad. This is a blend of simple, all natural ingredients that provides great tasting flavor. 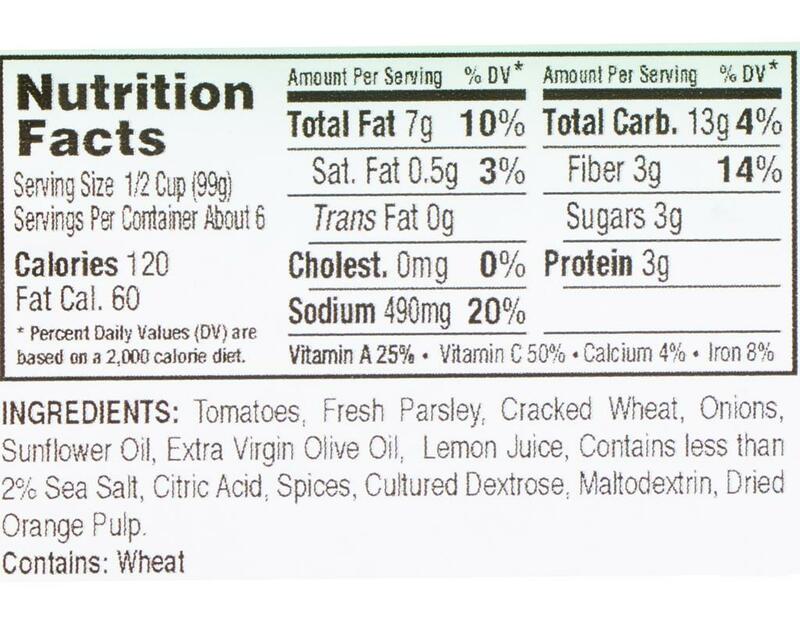 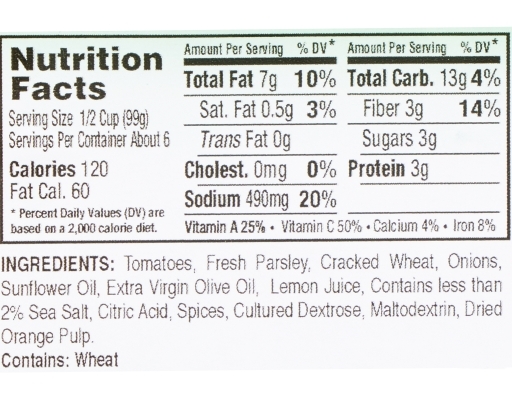 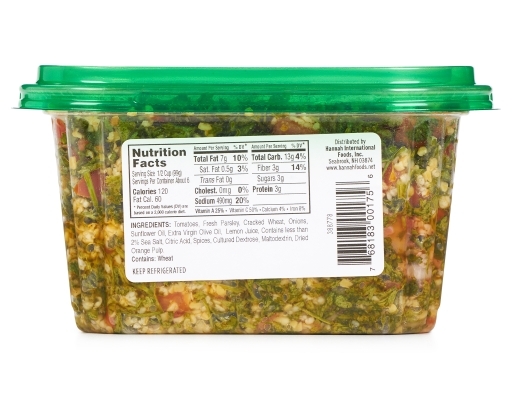 Tomatoes, Fresh Parsley, Cracked Wheat, Onions, Sunflower Oil, Extra Virgin Olive Oil, Lemon Juice, Contains less than 2% Sea Salt, Citric Acid, Spices, Cultured Dextrose, Maltodextrin, Dried Orange Pulp.